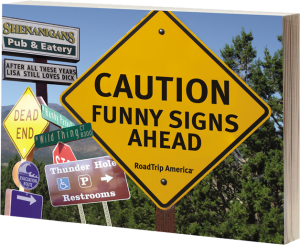 Anyone who has ever hit the open road has seen a sign that sends them into hysterics. “Fun signs from the side of the road, shop fronts and those wonderfully-American boards where they can change the message every day. From the rude through unthinking juxtapositions to the plain unfathomable, this is a great read and an even better gift.